The living room is centred around the unique hand made brick fireplace reaching the full height of the room. 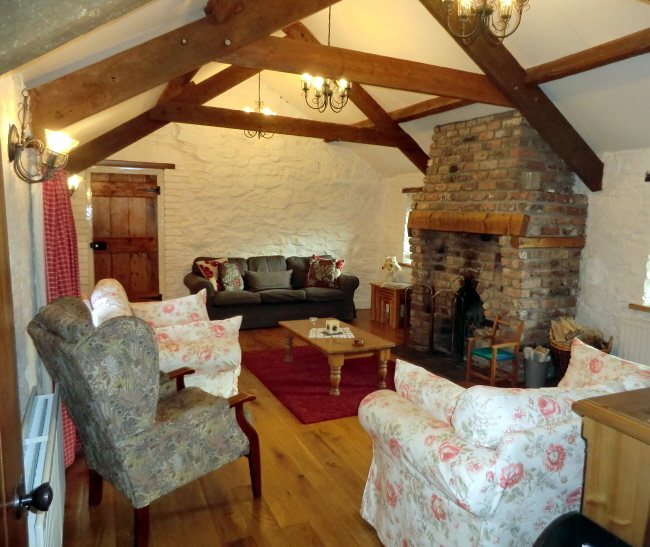 The comfortable furniture and natural wood fittings compliment the original beams to ensure a feeling of old world charm and relaxation, only spoiled by providing a TV and Video for your use. 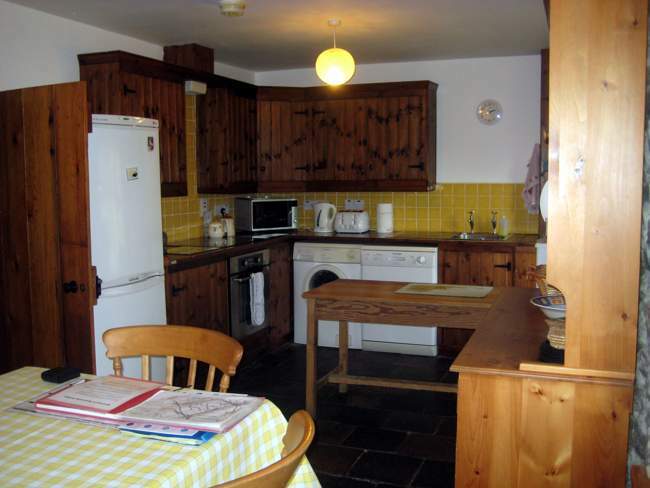 The kitchen is fully equipped and fitted with custom built units designed to retain the original character of the cottage. There is a range of modern appliances including, electric cooker, dishwasher, washing machine, fridge freezer and microwave oven. The lower end of the kitchen has a dinning area with a table and eight chairs. 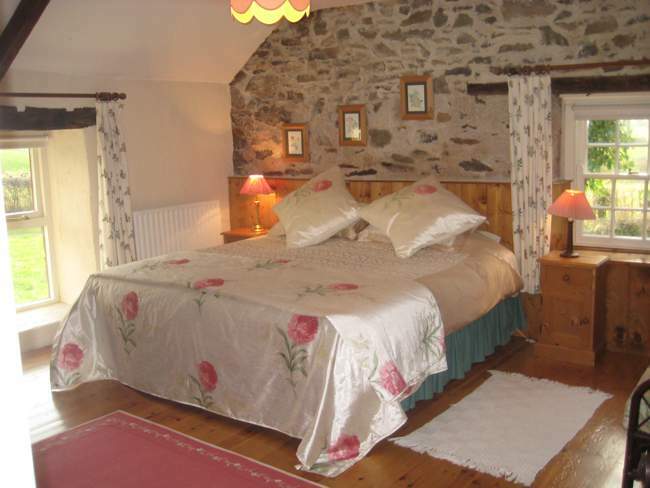 The first bedroom is situated at the extreme right hand side of the house, below the kitchen, and features the original stone wall. 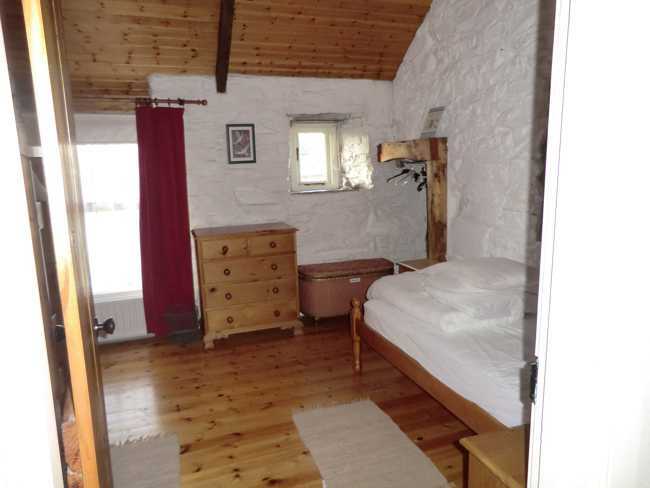 This ensuite room with the ceiling featuring the original beams, polished wooden floors boosts of two single beds lit by two well proportioned windows giving a bright feeling even on a dull day. 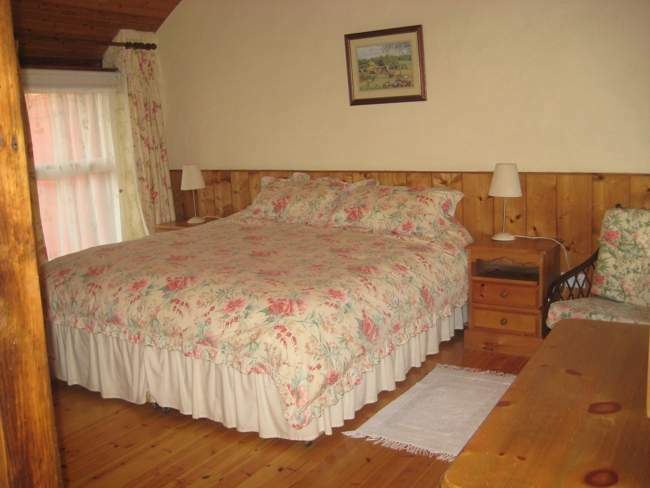 This spacious room includes a single bed and a set of bunk beds. 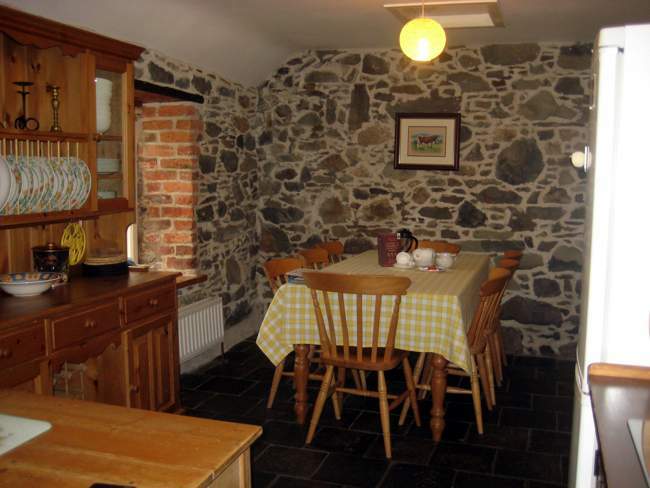 It is bright and maintains the original small window and the original stonework features the old kitchen breast of this once two roomed cottage. This ensuite bedroom boasts of a luxurious super king size bed with a window to enjoy the morning sunshine. The bath room features a cast iron claw foot bath, hand made wooden cabinets and door with a tiled floor and all modern accessories. 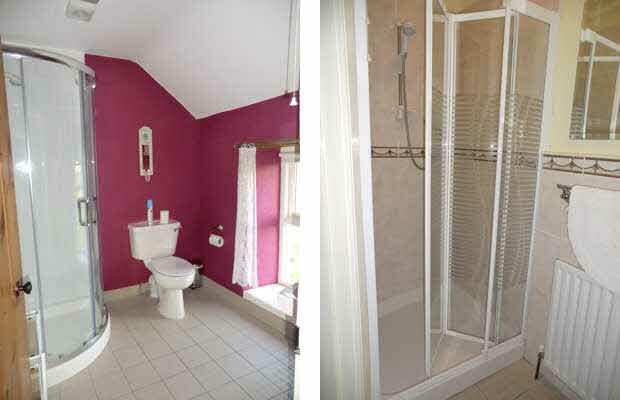 The top corridors (Main Entrance) is close to the bathroom and bedroom two and three and opens out to the garden and colourful, relaxing landscape views. 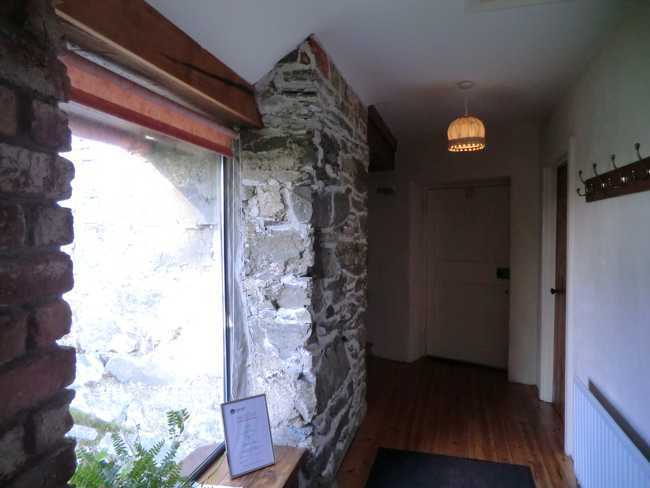 The corridors are brightly lit and feature some of the original stone and brick work, carefully re-faced and cleaned by our builder. 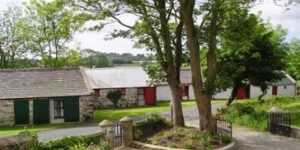 Book Now using our online booking form or contact Ballydugan cottages by phone. The tables below provide prices for the current year. 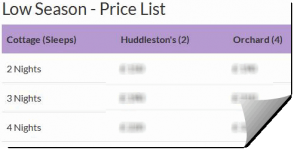 Click here for next year’s prices.